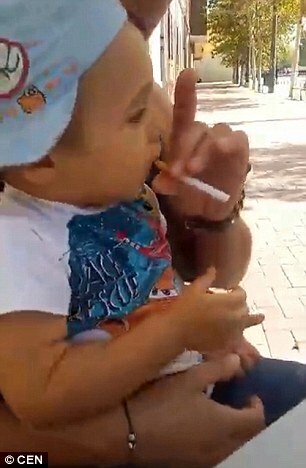 A shocking video has surfaced of a toddler was made to smoke a cigarette and drink beer as two Romanian adults laughed. 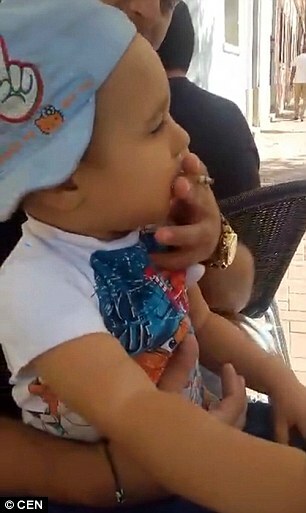 One of the adults is believed to be the boys's father. 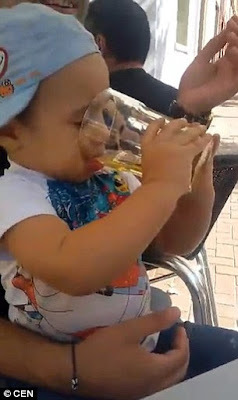 The video which seems to have been taken outside a cafe in Spain shows the little boy sitting on a man's lap and drinking from a glass of alcohol. A cigarette is then placed in the youngster's mouth before one of the men says: 'That's what being a real man is all about'. The video was uploaded on Facebook in a bid to find the men in the video and bring them to justice. 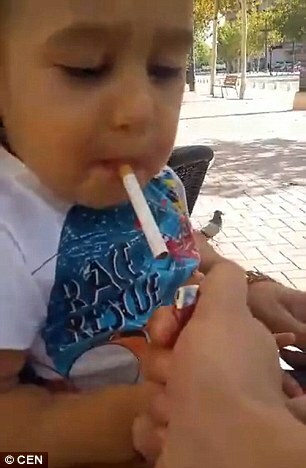 This is just so appalling. I hope they find the men who did this. See more photos and the video after the cut.